It’s that age-old issue we all* experience. We need to wear a pair of sneakers to the gym but work requirements mean we have to adopt a suit for the office. What’s the clear solution? Dress up your suit with a pair of stylish Savile Row designed sneakers from tailor Henry Poole (*frankly, it’s rare we ever need to pair sneakers with a suit, but clearly someone thinks there’s demand). The idea came to Patrick Reinhardt, the Global Senior Product Manager for Adidas, when he was trying on a tailored suit. He thought Adidas should collaborate with a Savile Row brand to produce two pairs of super-stylish formal sneakers you could wear both for a session at the gym, but equally at an evening event. So, how do they look? The limited edition sneakers were inspired by Henry Poole’s most iconic day and evening suit silhouettes. 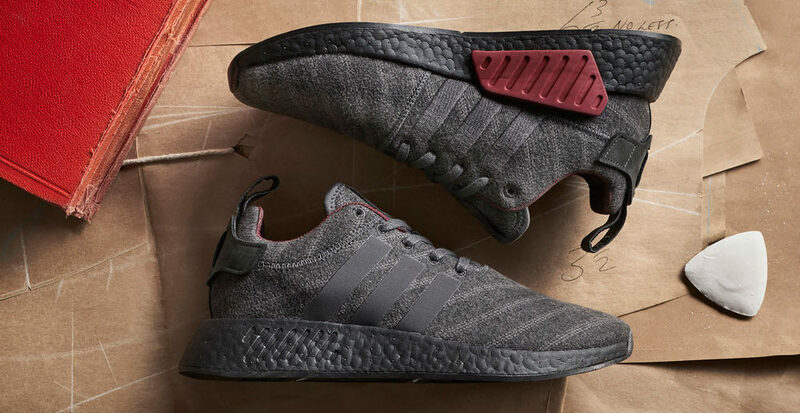 The chalk stripe flannel sneaker is based on the iconic Adidas NMD R2 Day trainer and utilises the design of the Henry Poole Churchill Chalk Stripe cloth. The midnight tuxedo dinner suit sneaker is based on the Adidas NMD XR1 evening shoe. We love the grey flannel pair but have our reservations about the midnight edition. 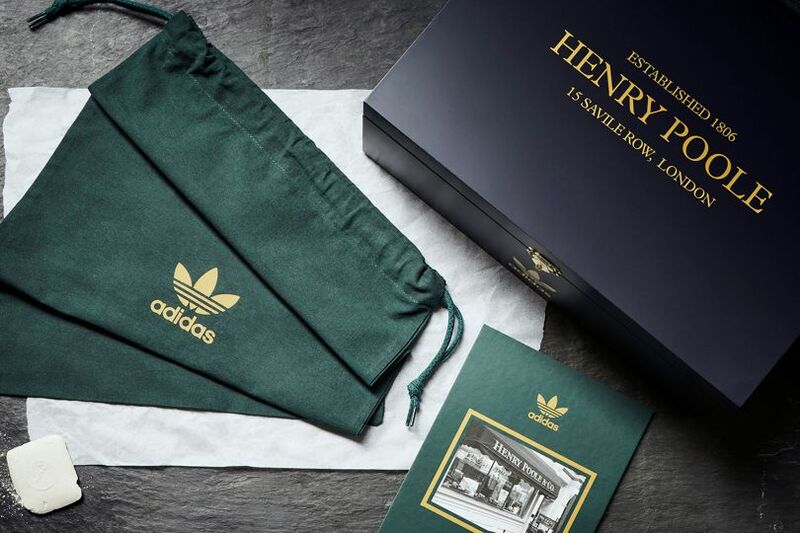 The Henry Poole x Adidas sneakers are finished with a garment bag and limited edition wooden box and are available in sizes 6-12 for £150/pair exclusively from Size. Currently unavailable on the Size website, we suggest hurrying down to your local store for availability before they are all sold out. Have you seen the new NOBULL New York store?